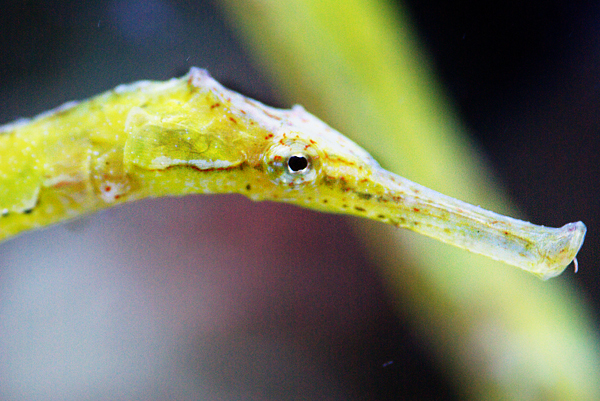 Seahorses and Pipefish are unusual and fascinating marine species. They also tend to be quite delicate and require daily attention to thrive in captivity. Photo by L. Mann. 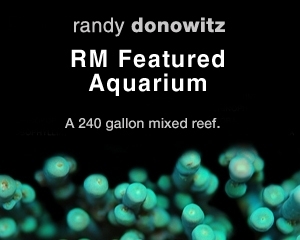 Thinking of acquiring new marine species for your home aquarium? Then one of the first questions you should ask yourself is, “Do I know the care requirements of this specimen?” Many hobbyists will inquire about the care of a particular species at the local pet shop, which is not always the most reliable source of care information. With thousands of marine species available for the home aquarium, it is difficult for any one person—supplier or hobbyist—to be familiar with every species and its care. Often, the information provided is anecdotal rather than true, time-tested experience. Even the Internet can be a source of limited or even false information regarding the care of marine species. I own several marine species that a majority of aquarists consider difficult to maintain, and yet they are thriving under my care. Difficult species will do well in your home aquarium, provided you make the proper effort. 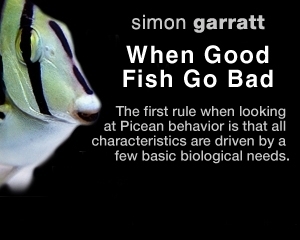 A couple of experiences of mine illustrate my current philosophy on what it takes to keep some of the more difficult species. My father is an Eastern Box Turtle (Terrapene carolina) enthusiast. He always had several species on hand and even modified the backyard of my childhood home to suit their seasonal needs (i.e. pond, bushes, etc). As a result of my father’s fascination with box turtles, I had the opportunity to raise a hatchling box turtle in an aquarium. I had a 125-gallon tank with about 6-8 inches of animal-safe topsoil as a substrate and two plants bought from a local greenhouse. Like any twelve-year-old, I became fascinated with the little turtle and spent hours a day watching it move around the tank. I collected worms and dandelions to feed it. During one of my viewing sessions, I noticed the turtle kept trying to climb the glass. I asked my father about this behavior, and he told me the turtle was not happy in the tank. I don’t think my father meant that statement to have the impact on me that it did, but even as a 12-year-old I felt responsible for providing a happy environment for my turtle. I was frustrated and couldn’t figure out what I should do. For me, releasing the turtle was not an option. So instead, I went to my school library and brought home some books about turtles. In one of these books I read that box turtles liked to hunt for food in caves. This surprised me because growing up on Long Island, I didn’t see any caves. But considering that information, I revised my glass habitat to include a small cave in the substrate, where I strategically placed worms and other food. This seemed to do the trick. The turtle never again tried climbing out of the tank even when it was near adult size. As my experience with animals progressed, I was finally convinced by a neighbor to set up a marine aquarium. I transformed the 125 gallon tank I used to raise hatchling box turtles into a marine system. 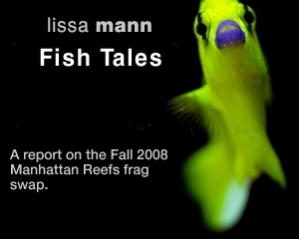 During the first year, the only marine species I kept in the tank were ones I caught locally, such as the Northern Puffer (Sphoeroidesmaculates), the Northern Sea Robin (Prionotus caroliuns), the Oyster Toadfish (Opsanus tau) and the Naked Goby (Gobiosoma bosc). I was satisfied with this stock until I visited a local pet store. That is where I first saw the Harlequin Sweetlips (Plectorhinchus chaetodonoides). I didn’t know it then, but I soon was guilty of the uninformed impulse purchase that so many neophyte hobbyists make. Of course, I asked the store representative about the fish’s care, especially since it was a big financial investment for me. I was told the fish ate brine shrimp eggs. I believe at the time I had enough experience to suspect that brine shrimp eggs did not seem entirely appropriate; however, I had too little experience or confident knowledge to overtly question the pet shop owner’s suggestion or to recognize that he might not be the authority I thought he was. I brought the fish home and tried feeding it brine shrimp eggs, but it would not eat. Literally, I spent hours watching the fish and hoping it would eat, to no avail. Internet and other information resources were limited during that time, and it was extremely difficult to find information on the care of this particular fish. Eventually, my Harlequin Sweetlips died, and I was devastated. I subsequently learned that this fish actually should be fed live, meaty foods such as grass shrimp or other small marine animals. 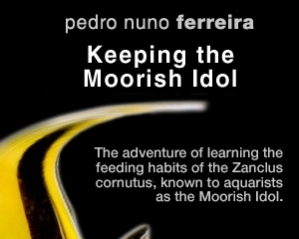 But the experience left a bad taste; I broke down the entire system and gave all of my fish and bleached coral away. Unfortunately, my story is all too common among beginners with this hobby. 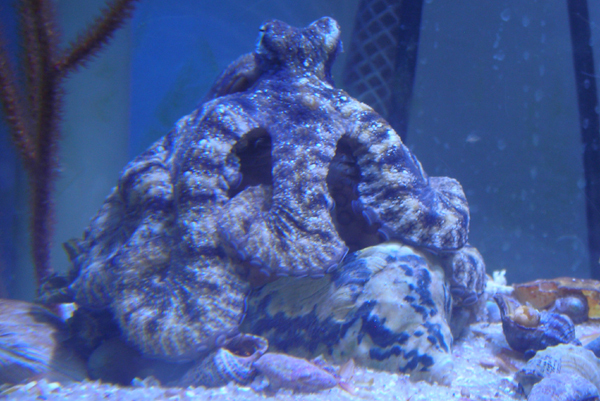 Octopus require habitats and husbandry that are specific to their needs. Research them carefully and don’t purchase them if you can’t meet their needs. Photo by D. Cirigliano. Happily, I got over my bad experience and I got back into marine aquaria. Now, when I’m looking into buying a new fish or invertebrate, I look for reliable resources that describe and discuss the details of its natural environment. This is extremely important because knowing this enables me not only to understand the natural behavior of the animal but also help me recognize information that may not be credible or complete. For example, one of my current marine species is an octopus (O. aculeatus). 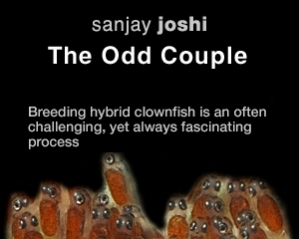 When reading general information on this species, one of the resources I used mentioned that octopuses need a single den as the basis for proper care. This information is not necessarily wrong, but I knew from studying the natural environment and behavior of O. aculeatus that it required multiple dens. When I designed the layout of the tank, I made sure I used rocks containing small nooks and crannies. I also submerged PVC pipe into the sand bed with three different entrances or exits. This provided my octopus with many choices for a den just as it would have in the wild, and it has lived in nearly all of them. Once a proper habitat is designed, the next phase is preparing for the proper food source. My octopus is almost never interested in eating frozen foods so a supply of live crabs and shrimp has to be readily available. Many octopuses are short-lived creatures (1.5 – 2 years for most species) so they eat a lot and grow quickly. It can get quite expensive feeding live animals to a growing octopus. I always recommend setting up a system to house live foods, such as a refugium or even a separate enclosure. I use a separate 14 gallon system to house live crabs. 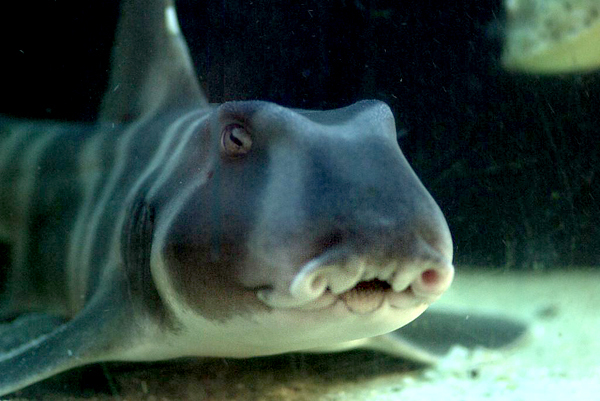 Sharks like the bamboo shark and the catshark can adapt well to captivity. However, in addition to a hefty diet, many species require aquariums that are much larger than the aquariums hobbyists commonly keep and maintain. Photo by L. Mann. Learning the natural environment of marine species not only provides information on their proper habitats but also provides insights for feeding. I have found that most resources for the care of home aquaria fish provide information on feeding based on what is commonly available in pet stores. Of course this does not mean that the food source is ideal. Caring for my Japanese Bullhead Sharks (Heterodontus japonicas) requires much more than the typical krill or silversides available at pet stores. I know from learning about their natural environment that the majority of the diet of these benthic sharks is made up of invertebrates found on the sea floor. The difference between benthic sharks and free swimming sharks is benthic sharks do not need to swim constantly to get the in-flow of oxygenated water required to survive. They spend most of their time hiding in caves within the reef and hunting food in the sand such as clams, urchins, muscles, shrimp and even squid. 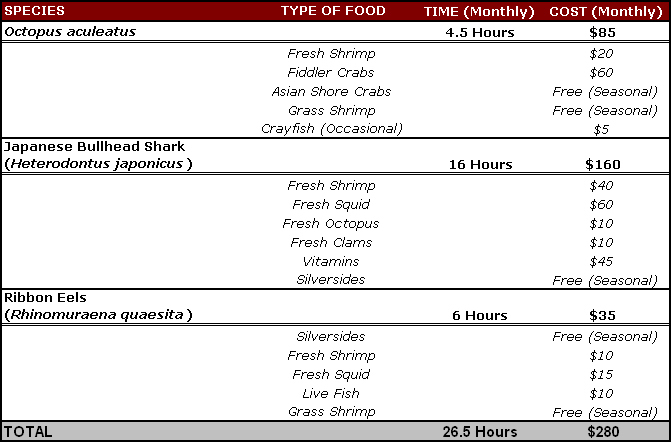 To ensure my sharks stay healthy, I must feed them a mixed diet. Beyond providing for the general maintenance of my marine tank, I spend many hours and many dollars each month making sure the sharks receive the proper diet. Spot feeding is also essential in order to provide the sharks the nutrients required for their survival. The marine animals described above actually tend to feed rather easily. I also have two Blue/Black Ribbon Eels (Rhinomuraena quaesita), which –though quite popular in the aquarium trade because of their vibrant colors — are one of the toughest species to care for. After doing a lot of research and studying the few successful cases available on keeping these eels, I decided to try caring for one myself. As with many of my other animals, I felt that if I could provide the requisite time and attention, I would be able to keep these eels successfully. Before I acquired a ribbon eel, I made sure I had a source of live foods to maintain the animal’s health while I tried to get the eel to feed on frozen fish. As with the octopus, I also provided submerged PVC pipe as a hideout. 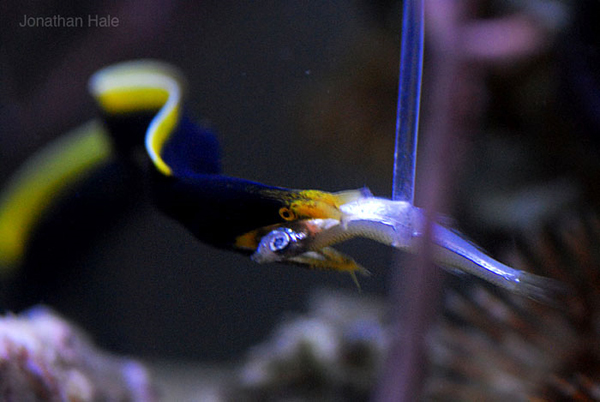 With many difficult species, such as the Blue Ribbon Eel (Rhinomuraena quaesita), getting them eating live or prepared foods is a challenge. What many aquarists do not recognize is that getting these species eating is only half the challenge. In many cases, special care is required throughout their lifespan in order to keep them healthy and happy. Photo by J. Hale. After careful preparation, I finally acquired a Black Rbbon Eel (a juvenile form of the Blue Ribbon Eel). Even though I felt prepared, it was much more difficult to care for than I expected. The eel was not interested in frozen food—which was to be expected at first–but this eel also had no interest in live foods. In the process of feeding one of my other fish in the same tank, the False Stonefish (Scorpaenopsis diabolus), I found by accident that the eel would eat freshwater minnows (Pimephales promelas). Minnows are not the ideal food, but they served as a source of nutrition until I could get the eel to eat frozen foods. Previously, I had put together a list of foods that biologists regard as comprising the natural diet of the Blue Ribbon Eel. Using this list, I tried many foods before I found something that interested the eel. After a couple of weeks, I finally got the eel to eat silversides. As happy as I was that the eel was eating silversides, I knew that this food source alone was also not sufficient to maintain long-term health. After a few weeks with the eel eating silversides and becoming an aggressive eater, I experimented with other foods. Eventually, the eel began to eat shrimp and squid along with silversides. Eventually, I added two more eels and have had similar feeding success with them as well. Of course, even though I managed to convince the eels to eat frozen foods, feeding them every other day is a chore. They need to be spot fed, and I have to make sure all three of them get their fill. It can take an hour to feed the eels some days because they are finicky. But I’ve had the Black/Blue Ribbon Eels for over a year now and they are thriving. 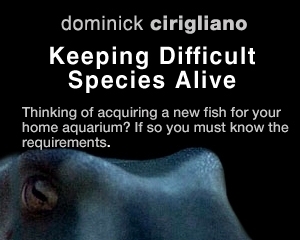 Other than the species mentioned in this article, I have experience with many species for the advanced aquarist such as: pipefish, seahorses, stingrays, anglers, boxfish and even difficult soft gorgonian corals. I believe that understanding the natural environments of species and a dedication to maintaining them properly is the key formula for success with many difficult species. Just be sure you are up to the commitment necessary before you make a purchase. The time and money exerted to keep advanced aquarist species is an investment many hobbyist are not prepared for or aware of. This table highlights some of the species discussed in this article and the average monthly cost and time spent practicing the PROPER care. Items noted “seasonal” are live foods I collect locally. If shore access and/or time is limited or non-existent, the monthly cost for keeping these species can be significantly higher.